After watching the ducks play in the fountain at the Peabody Hotel (read about that here), we headed next door to Automatic Slims for brunch. The Husband found Automatic Slims on Twitter, from @ilovememphis and her blog I Love Memphis. I was particularly interested in in their mimosa bong! 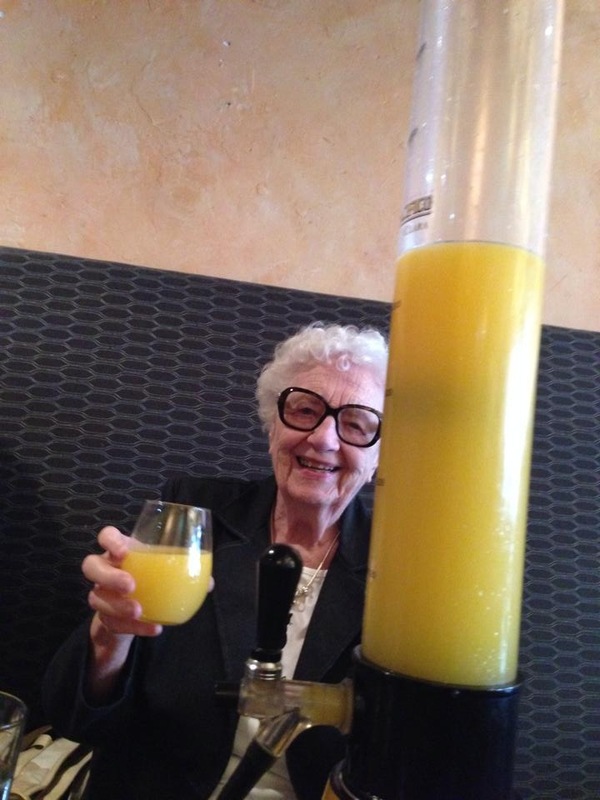 Grandma and the 100 ounce mimosa bong! We managed to only take two group photos on the whole trip, and one had a cameo by the mimosa bong. My mother, brother, sister in law, Husband, and grandma! Cheers! 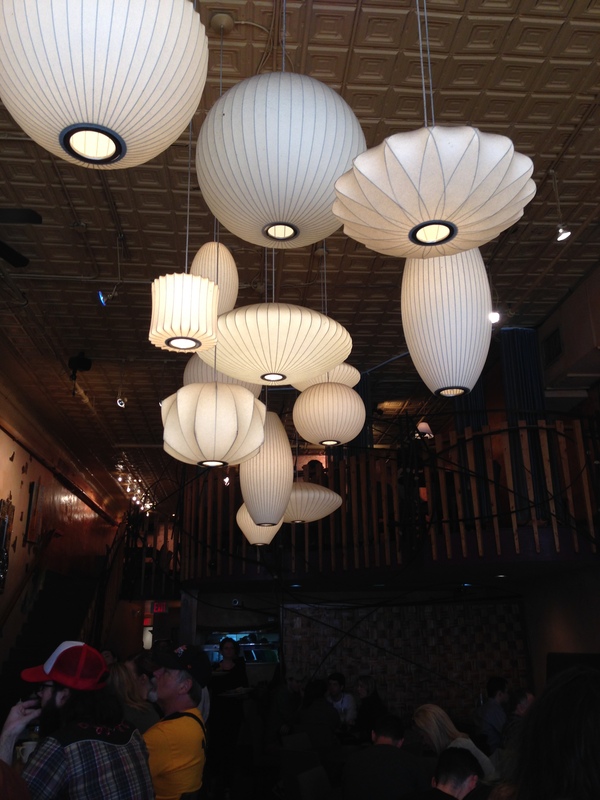 The place was super cute and trendy, and I loved the paper lanterns on the ceiling. 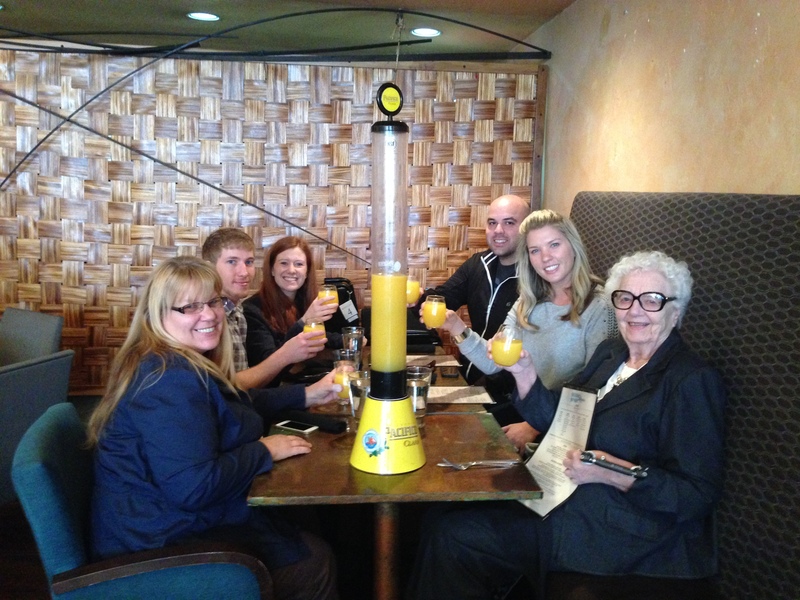 Save the mimosa bong, the reason we wanted to go here for brunch was the chicken and waffles. The Husband loves them and mother wanted to give them a try. And yes, it was super yummy! 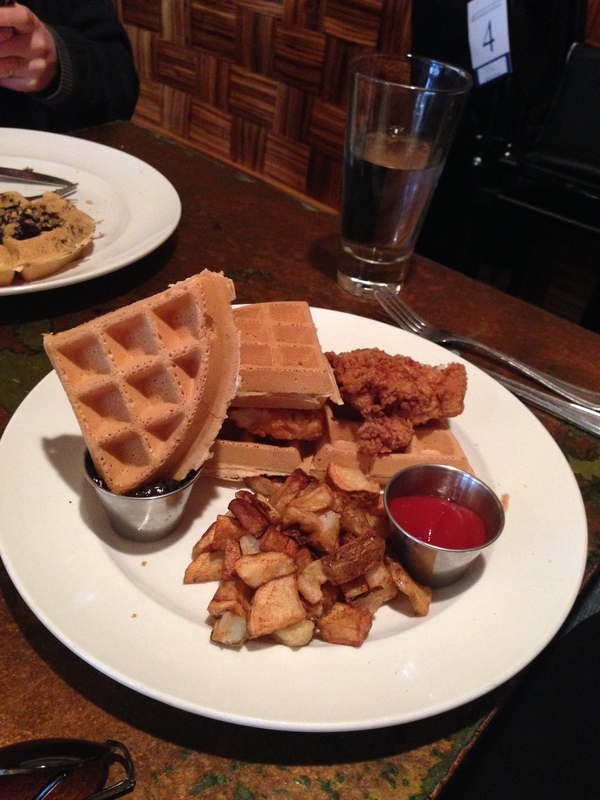 Why does fried chicken and sweet waffles and syrup taste so good together? I went way out of character and ordered an inside out patty melt. The menu said it won an award at a world food competition, so I just had to try it. Only problem is that I don’t really like meat, and when I do eat it, it must be well done. I ordered it that way, but it came out quite pink in the middle. So I tried to eat around it, but in the end had to bargain for other family member’s food! The carnivores in the family loved it. So in exchange for parts of my sandwich, I got to have some sausage and biscuits that were just spicy enough that I really liked them and grandma didn’t find them to be too hot. Grandma always sticks with the basics, and hers is usually the best. 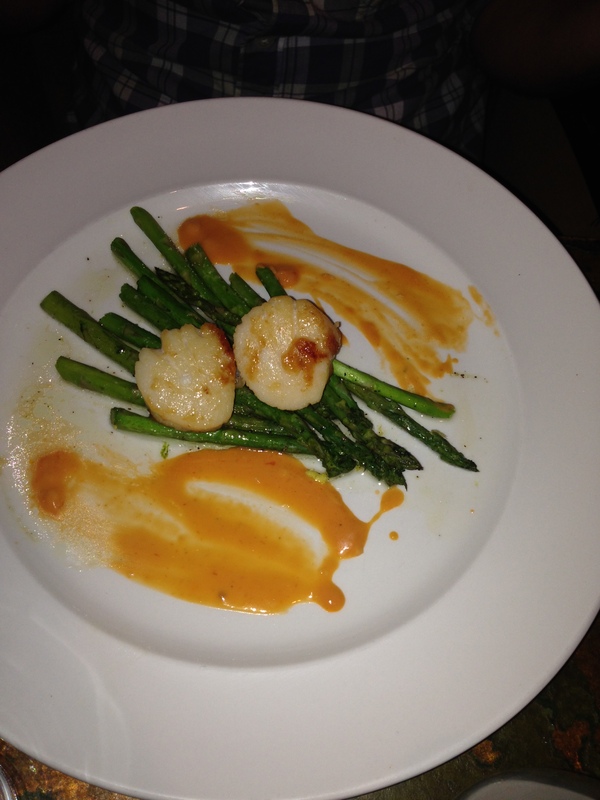 My brother had the scallops and they were so good! Ended up being my favorite meal of brunch. 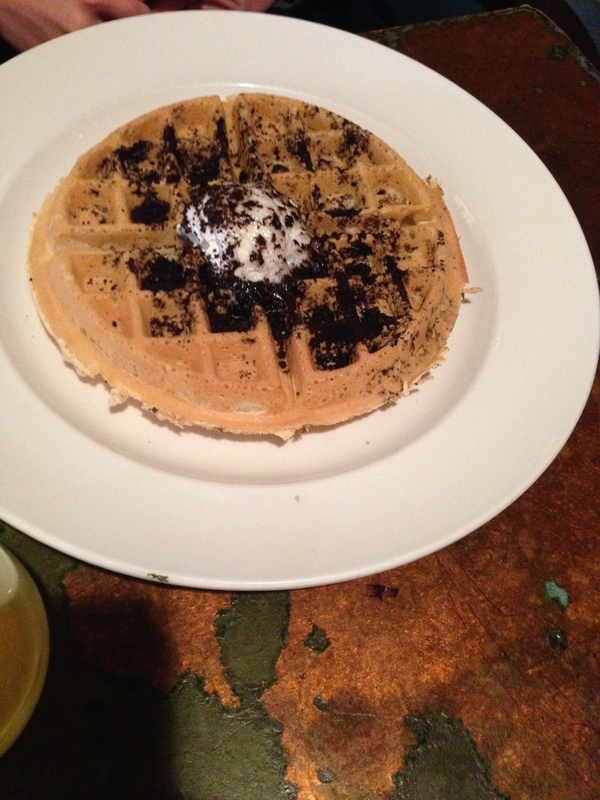 My sister in law had an Oreo waffle, and it was like having dessert after brunch! Delicious but super sweet. Perfect for sharing as a dessert after brunch. 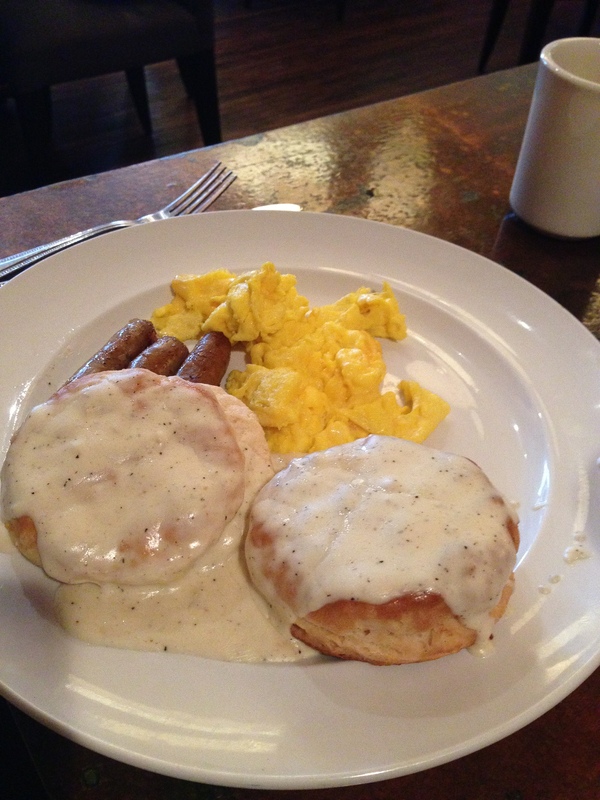 If you find yourself in Memphis on a weekend, be sure to go to Automatic Slims for brunch. Tip: they take reservations by phone, but not via Open Table. Enjoy! What a great review. I loved it there. 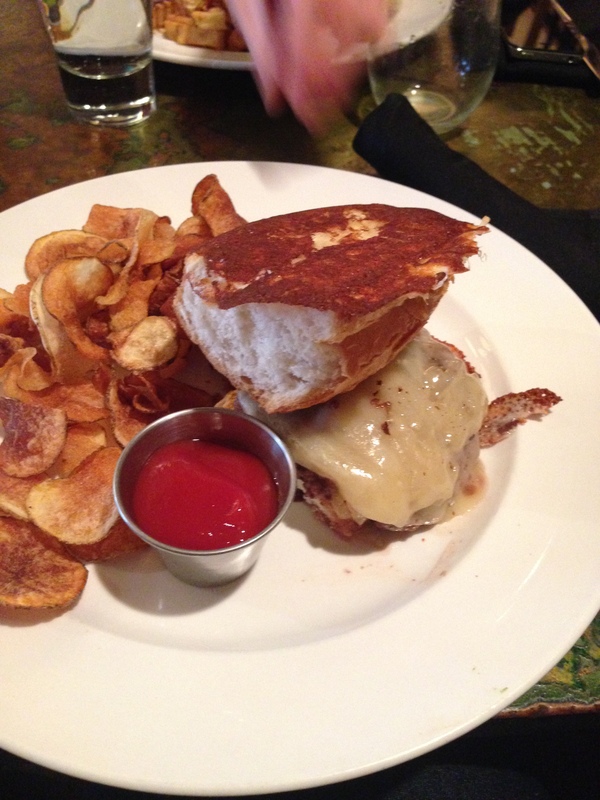 I even loved the inside out patty melt. But especially the mimosa bong and hearing Grandma say mimosa bong. Ha!